Making your own home goods, clothing, and accessories can be even more satisfying when you know it’s reducing your footprint on the Earth. What makes a something “eco-friendly”? It’s a rather broad term, and is probably applied in places where it shouldn’t be. There’s no universal definition. Replace a disposable item with one that can be reused for many years. Use upcycled or recycled yarn. Use natural fibers that do not pollute our oceans with synthetic microfibers. Organically grown and sustainably produced fibers are even better! If you’re environmentally-inclined or just interested in practical items made with a frugal mindset, here are my favorite free eco-friendly crochet patterns in celebration of Earth Day! These are a beautiful and reusable alternative to this filmy plastic bags for produce that you get at the grocery store. You can use them as regular ol’ reusable grocery bags, too! Using a natural fiber means you aren’t polluting the oceans with synthetic microfibers. So, about those plastic bags… Sometimes you end up with them even if you try hard not to. But they can come in handy, so it’s nice to have an attractive way to store them. This can be a great project for using up yarn remnants! Dishcloths have a leg-up over sponges in terms of earth-friendliness because they last much, much longer (plus, they can be tossed in the wash, which is more sanitary). Organic cotton is a good choice because it uses fewer chemicals than conventionally-grown cotton. These are a perfect replacement for disposable cotton or synthetic makeup wipes, and they’re a lot prettier. Another great project for scrap yarn. This simple tote is made out of plastic bag yarn, which you can learn how to make through one of many online tutorials. These nesting baskets are made out of upcycled fabric yarn, which can be made out of remnant fabric or clothing that is too old an worn to be mended. They have a lovely, rustic appeal to them and are useful to boot. T-shirt yarn is often made commercially using remnant jersey fabric that would otherwise be discarded. You can also make it at home from old t-shirts! It’s great for bags, rugs, and baskets—but here’s a unique and multi-purpose pillow/footstool that I found pretty adorable. 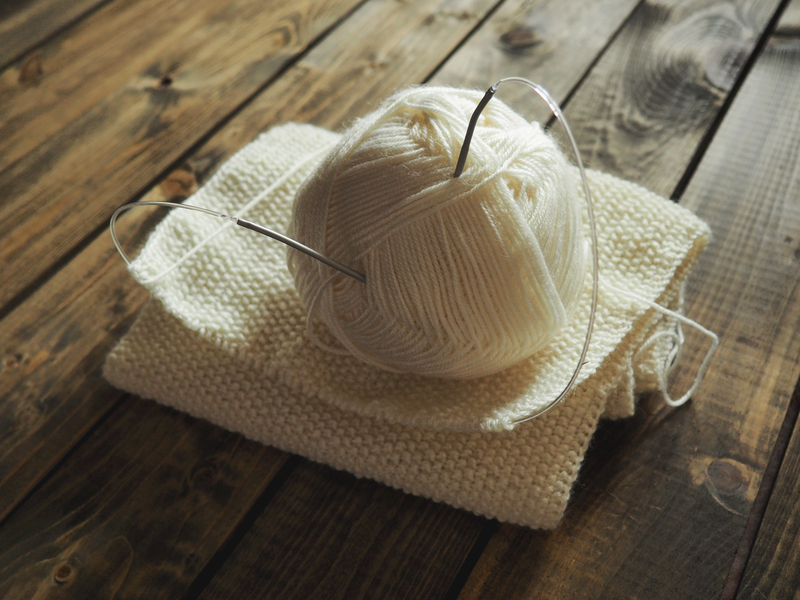 Next What can knitters and crocheters do about synthetic fiber pollution?